Spring Training is already nearing the halfway point, and the Colorado Rockies (8-9) have seen many solid performances from established performers, as well as newcomers and prospects. Here’s a quick look at some of the top news headlines as well as top performers for the Rockies. Pitching Duo- On Thursday, Rockies’ top pitching prospect Jonathan Gray had a tough outing in his third appearance of the spring. In 2.2 innings against the Oakland Athletics, Gray surrendered three runs on five hits. In 6.2 innings this spring, he has five strikeouts, but has allowed four runs. Gray was the club’s first-round pick (third overall) in the 2013 First-Year Player Draft. Eddie Butler, Colorado’s first-round pick (46th overall) in the 2012 First-Year Player Draft, has tossed four innings in two games this spring. In his first start, Butler went three innings (two scoreless) but gave up two runs in his final frame. In his latest appearance on Sunday, March 9th, Butler pitched a scoreless inning and allowed just one hit. He is scheduled to pitch Friday against the San Francisco Giants. Parker has great game – After a slow start, IF/OF Kyle Parker had a huge 5-RBI game Sunday, March 9th against the Kansas City Royals. Parker, the former Clemson quarterback, went 2-for-2 with two doubles. He later followed that performance up on Tuesday with his first home run of the spring driving in two. 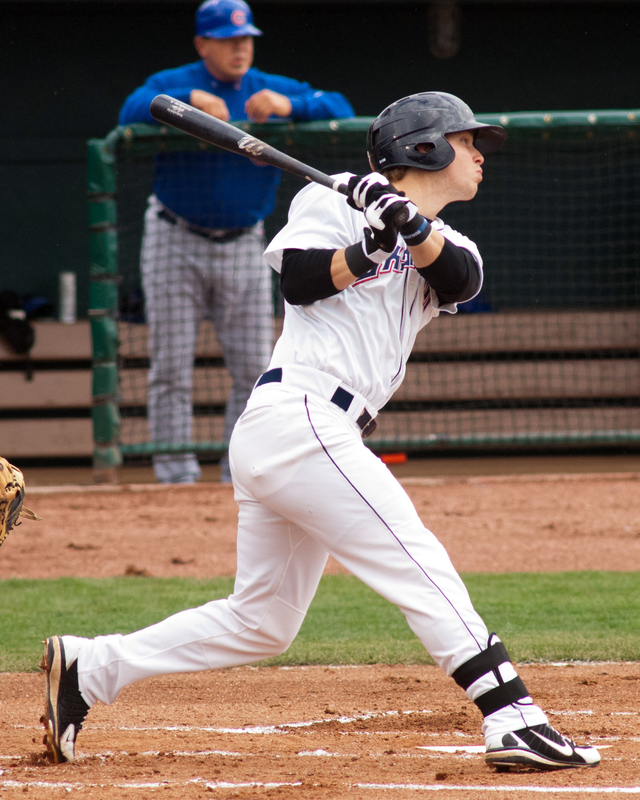 Rockies send nine to minor league camp – Parker along with LHP Christian Friedrich (right) and seven others were sent to the Rockies’ minor league camp on Thursday. The other seven prospects were OF Kent Matthes, RHP Raul Fernandez, LHP Jayson Aquino, LHP Tyler Matzek, LHP Kraig Sitton, SS Cristhian Adames and SS Rosell Herrera. De La Rosa gets the nod – On Wednesday, Rockies manager Walt Weiss named LHP Jorge De La Rosa as the team’s opening day starter, reports Thomas Harding of MLB.com. De La Rosa had the best season of his career in 2013 coming off of Tommy John surgery in mid-2011. He posted a 16-6 record with a 3.49 ERA. The Rockies season starts March 31 in Miami. Anderson sharp through first three starts – One of the Rockies’ top acquisitions during the offseason, LHP Brett Anderson, has been great so far this spring. In three starts, Anderson has thrown 10 innings and has only allowed two runs. On Wednesday, Anderson went five innings – his longest appearance this spring – and struck out two. Anderson was dealt to the Rockies from the Athletics in the offseason in exchange for LHP Drew Pomeranz and RHP Chris Jensen. 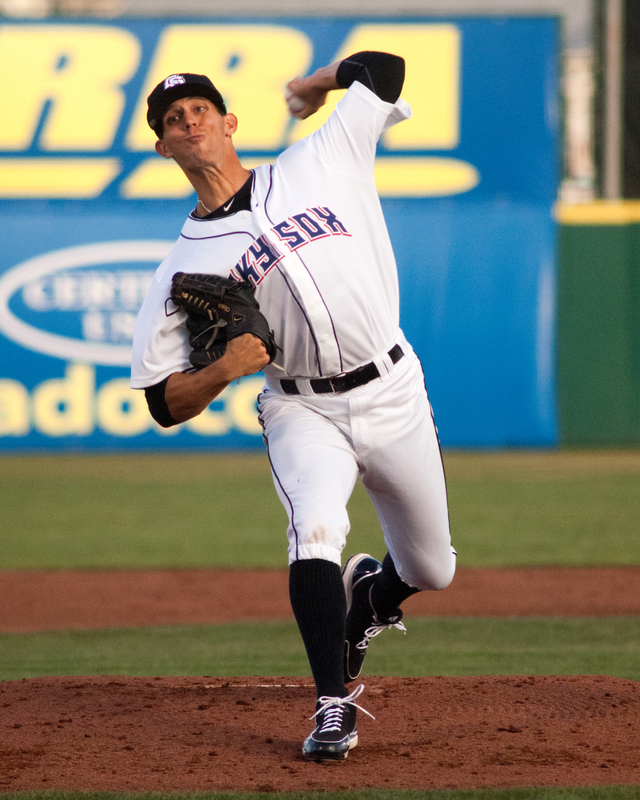 In his five years in the big leagues, Anderson has been a valuable starter but has dealt with numerous injuries causing him to only be able to pitch one full season – 2009 – his rookie year. Who’s in center? – One of the biggest storylines this spring for the Rockies is who will be in center field on Opening Day. The Rockies acquired Drew Stubbs and Brandon Barnes in trades this offseason, and also have two home grown products, Charlie Blackmon and Corey Dickerson (left), as candidates. Troy Renck for the Denver Post writes about the situation here. Other streaking players – A new acquistion for the Rockies, IF Paul Janish, is having a heck of a spring. In 11 games, Janish is 12-for-25 with a homer, two RBI, and just two strikeouts. He also has three multi-hit games. One of the top rookies in the National League last year, 3B Nolan Arenado, is shining this spring. In 10 games, Arenado is 10-for-26 with two doubles, a triple and a home run. He has also driven in four runs. Robinson Cano is crushing it for Seattle, writes John Schlegel. Braves sign free-agent RHP Ervin Santana, writes Mark Bowman. Cubs’ prospects Olt and Baez go deep three times, writes Schlegel. March 14, 2014 in Preseason. He will be with Sky Sox to start the season.